Bonnie Heard a Who ! A couple of weekends ago I was out in the conservatory enjoying the day. I looked up at the mirror and saw an object that looked like some kind of animal. Paul had been cleaning the garage and at first I thought he found something from his college days that he wanted to display. But then I looked closer, the eyes followed me. It was an owl. I could not believe it. I got as close to it as I could to capture a picture. 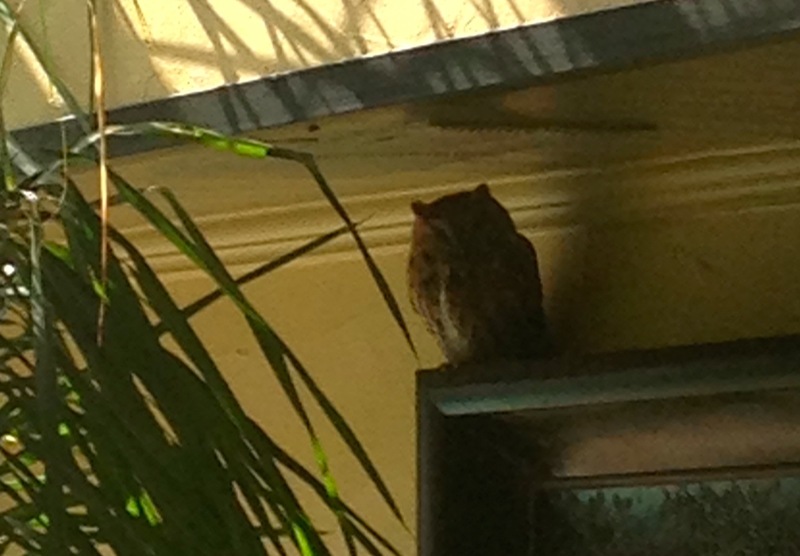 The owl stayed in the conservatory all day until Paul got home from golf. Paul lowered the plastic wall and the owl flew out with a beautiful exit, his wings spread wide as he went back in the world. 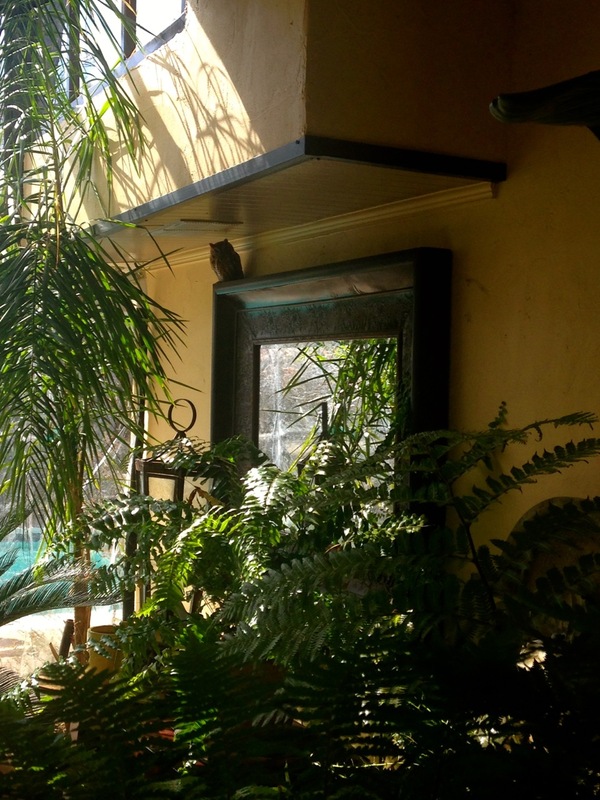 We were honored that the owl chose our sanctuary to hang out in.